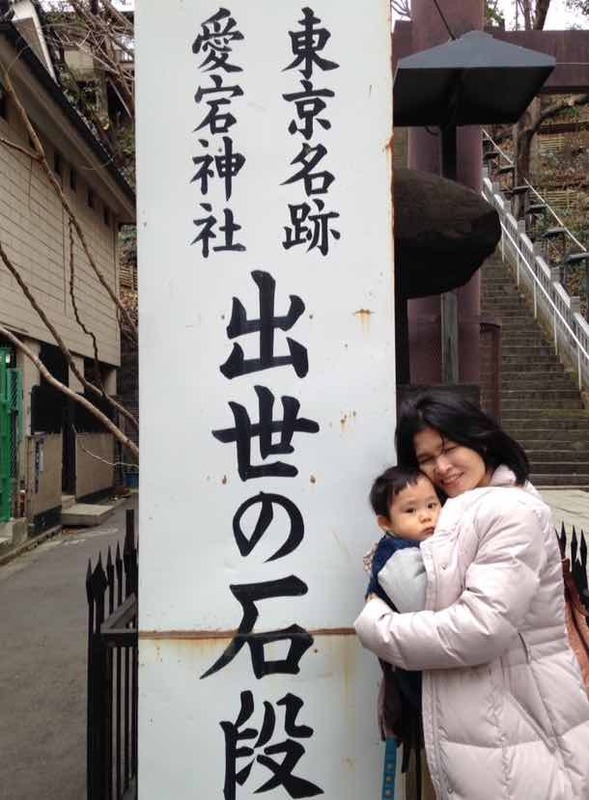 Atago Jinja, a 1 year old baby climbs up the “stone-steps of promotion”. Hi all, do you know what is the highest mountain in Tokyo’s 23 wards? 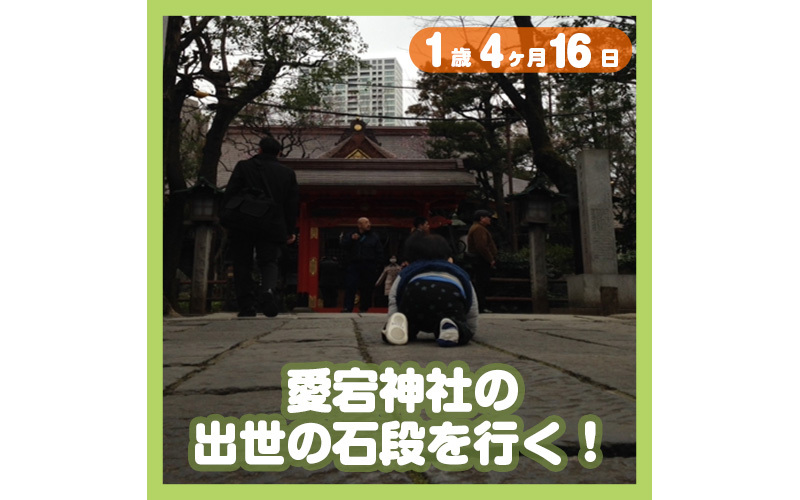 That is … … “Atago Jinja(shrine)” in Minato ward. An altitude of 25.7 m! You need about 30 of me! 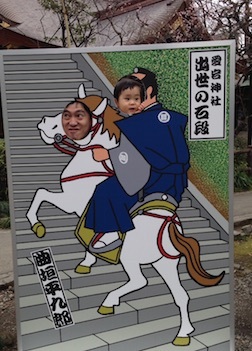 Heikuro Magaki went up these steps with his horse, and the then Tokugawa Iemitsu commended him for “The best horsemanship in Japan”. 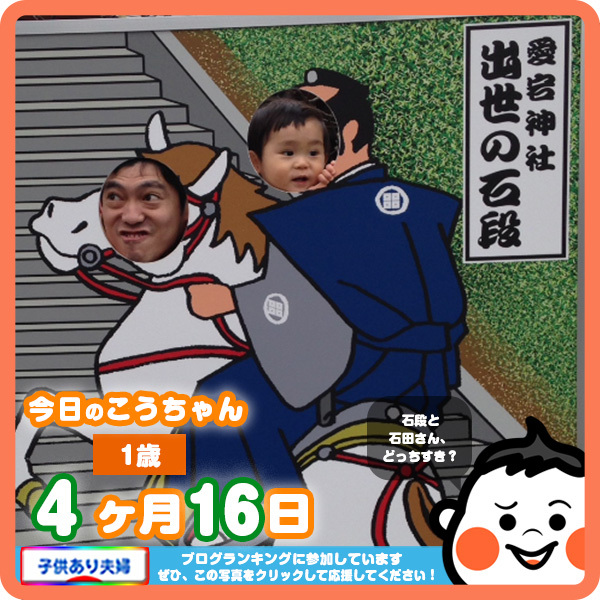 By the way, there are actually 3 people who have gone up while riding a horse.